very interesting post, I enjoyed the read! If you aren't stupid about it, anyone can sustain 200+ miles a week. Mike, you need to purchase the Lore of Running. It is a great book and I think you will enjoy the persperctive the author has on running and training for ultras. He believes that it takes two solid years of training to truly peak for an ultra. At times I wonder if people race too many ultras in a short period of time. I feel like Kilian Jornet is really the only guy right now that will show up and race well where ever he races. But he doesn't even run through the winter months because he is a competitive ski mountaineer. Michael Wardian is also a total BAMF. Carpenter is also a legend but I really don't know much about him. I just think every person is different and reacts differently to the stress of training. I do believe anyone can sustain 200+ miles a week. But really who wants to run 200+ miles a week if they actually care about anything other than running. I work full time and have a family. If I wanted to completely shut my wife and kid out of my life I could run 200 miles in a week. I believe that is the one aspect you are missing in your analysis of how many miles a person can run in a week. Their lifestyle. Right now is tax season. I am busy as hell and I have a 4 month old son. I would have to wake up at 4 a.m. everday to run 100 miles in a week. Certain people have other limitations than the likelihood of getting injured. I love you and your lifestyle choices and I respect the fact that you have the time to run 130 miles a week. It would just be way harder for me to run that mileage than it is for you. And I am not trying to say that I could run the mileage you do if I lived your lifestyle. What you do week in and week out with your running is truly amazing, shows incredible discipline and dedication, and shows how much of a BAMF you are. I love you Michael Owen. I just thought I would bring up some other points you missed and write the longest blog comment known to man. Keep living the dream man. I am proud of you. I work a fulltime white collar career and have 2 kids (the youngest being 6 months old). I DO wake up at 4 every morning and DO get in 100 mile mountain weeks. It can be done but it takes sacrifice. I still have to shoot hoops with my 10 year old every night, spend time with my wife and help around the house, and make sure my little baby knows who her dad is. I do get a tiny bit jealous when I read posts about the young guys that spend all day in the mountains but that is not an option for me. I would not trade my situation for anything. Set that alarm at 4 and get after it!! Great post and new to the blog. Keegan, I did leave out a lot of factors that could limit running at such a high mileage, but I was already over my self-imposed word limit. I could have went on and on about how in order to run at such mileage, we need to be spot on with nutrition, sleep, and family life balance. I have mad respect for you and your new family and love seeing it. Someday all that will come for me and I'll be faced with new challenges. Love you man. Thanks for the uber-long comment. Great post Michael! Just curious, is that your cabin in the banner pic? Gorgeous, whoever owns it. Not mine, but a friends of mine that I lived in for a couple years. Michael, very nice discussion and great job doing your background research. There is one thing that I take issue with though. You can't take the intensity out of the equation that easily. You state, "There are obviously many different types of training considered at a "high level" other than running high mileage alone(i.e. 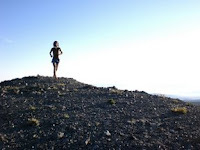 mountain running, speed work, etc. ), but those types are not as demanding as spending the amount of time on ones feet (and the pounding in legs) that it requires to run 150-200 miles a week." I don't think you can say in absolute terms that 150 mpw is more demanding than a training plan with significantly less mileage but much more intensity (speedwork). If I tried to run 100mpw all at sub-5 min pace, I know my body would break down before it would if I were to run 150 mpw at 8 min pace. That may be an extreme example, but I think it gets my point across. There are more ways to stress the body than just mileage. And you don't even touch on the subject of single vs doubles in reaching peak mileage. The important thing to realize is that everyone is different. Some folks can handle loads of slow mileage, while others may be able to handle less mileage, but more intensity. You have to find your own balance. So yes, "it is important to discuss the limits of how far to go and for how long," but I don't think that can be separated from discussing the "how fast" as well. For the most part, I wanted this post to focus on mileage alone. The length of this post would have been way too long if I went into other aspects of high mileage/high intensity. When I envision high mileage, I look at it from pure trail perspective only. Also, not just flat smooth trails, I mean technical, gnarly, and hilly. This was not mentioned in my post - maybe it should have... but trail running is what I primarily do and what my blog as been about since I've started it. Anyways, when running on this type of terrain, I feel like there is a certain pace that "feels right" without walking/hiking. Sometimes hiking up steep sections is the only option. But... as @Terrysrunning mentioned, I also want to totally separate this idea from something like what Jenn Pharr-Davis did... that was a total focused pursuit and she was literally running an average of 324 miles per week for nearly 7 consecutive weeks! That was the event itself, as my post is talking about the training - really for a 100 mile race. And you are right, running 100 miles at sub-5min. pace is going to be more intense than running 150 at 8min. pace. I interchange "high-level" and "high-mileage" too much in my post; the time spent on the trail at 150/8min pace is a lot more than 100/5min pace (I guess that was the point I was trying to bring out). There seems to be a pace that you mold into that is "comfortable" (different for each person) for high mileage weeks without "pushing" it. As far as singles vs. doubles go, I just didn't see the importance of bringing that up as it would be virtually impossibly to run 200 miles in singles. I have never been the guy to say doubling a few times a week is bad for you, even at 800 mpw. I'm a doubles guy and I would guess anyone running 150-200 would be as well. Michael, I think it was fairly well implied that the training you are talking about is tailored toward 100 mile trail races. With that in mind, I would still argue that if your goal is to maximize performance, it is crucial to find the correct balance of high mileage and intensity as opposed to simply finding your maximum sustainable mileage. Intensity in this situation won't be 400m repeats on the track, but if you want to race faster, you have to train faster on occasion. Finding the optimum balance between mileage and speed is the real question that needs to be answered if one is to achieve their maximum potential. I would agree with that to a certain level. For 100's, if I was running Rocky Raccoon, some faster training might be important. But a course like Hardrock or Wasatch... I would not feel obligated to do anything fast. I wonder what Kyle Skaggs did before his HR. Michael, I tried to be very careful using speed and intensity interchangeably, but apparently I wasn't careful enough. Speed is relative. I can almost guarantee you that the intensity level of your training would increase if you went out and trained on the Hardrock course. Ten minute miles, and even just hiking many sections of that course, would be considered high-intensity training. 200 mpw on Ohio trails or 150 mpw on the Hardrock course...which would be harder on the body? 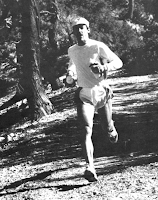 The claim you made in your original blog post is that mountain running and speedwork (which I have relabeled "high intensity" training) are "not as demanding" as running very high volumes of "comfortable" mileage. That's just not accurate in all cases. 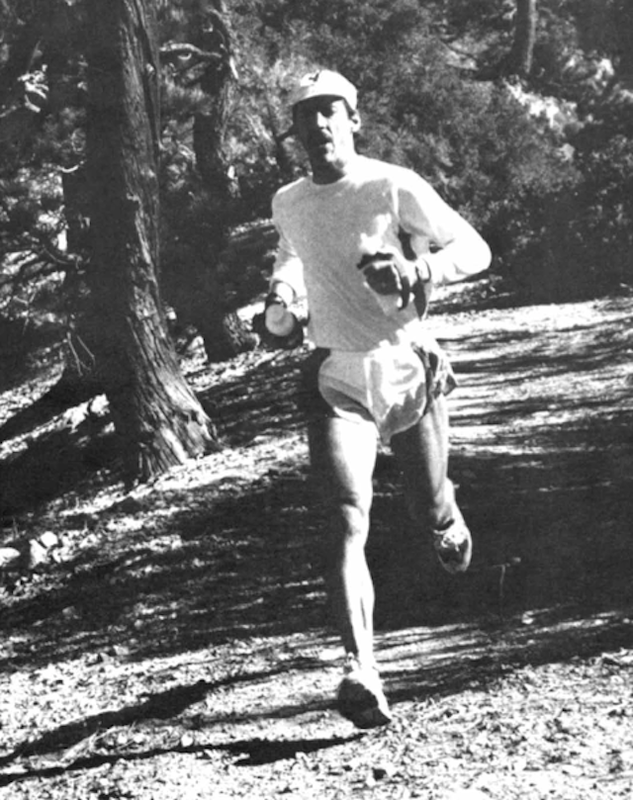 The question to ask Skaggs would not be did he ever run *fast*, but did he ever run *hard* in the mountains during his training. It's impossible to not run hard in the mountains, or else you aren't going to be running. Running at the slowest pace before walking up the mountain gets your heart pumping no matter what. And I would argue that going at the same "intensity" uphill as roads or flat trails (and definitely downhill)... then the uphill would be much easier on your body in terms of pounding and injury potential. But then you have to run back down the mountain, which is some serious pounding. Michael, very good read. Thanks for the post. It's still hard for me to wrap my head around what 100 miles a week takes. Thanks for pointing out the badassery of Wardian. That guy is a BEAST. great dialogue guys - Michael thanks for the post. my very favorite things to read & listen to on podcasts are related to training & what people do, peoples preferences, etc. as you point out, it's so crazy how many different approaches there are right now. good stuff!